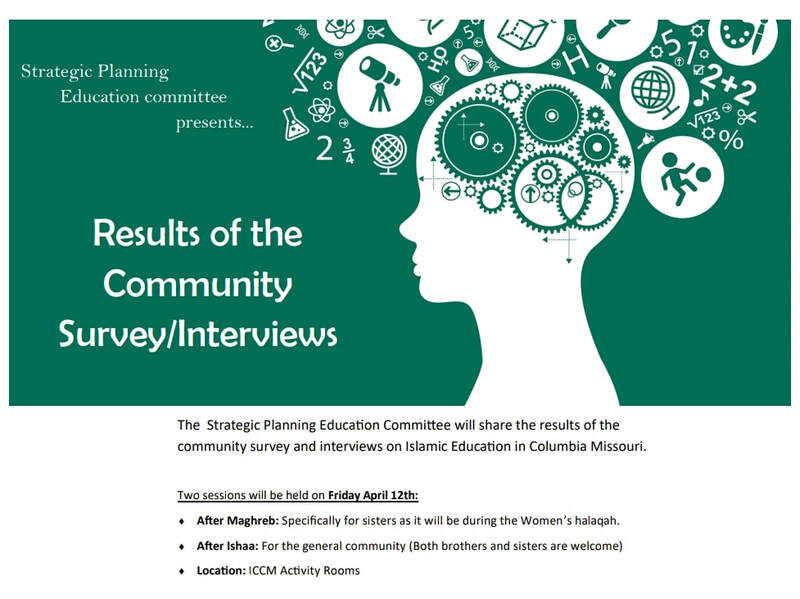 The Strategic planning education committee will share the results of the community survey and interviews on Islamic Education in Columbia Missouri. 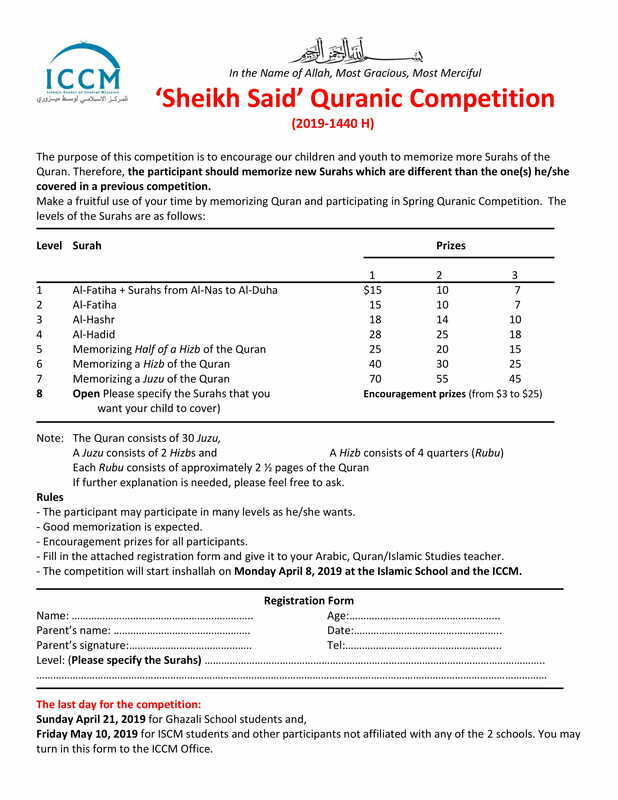 They will do so this Friday, April 12th after Maghrib during the women's halaqa and after Ishaa to the general community. Please attend to listen to the results. 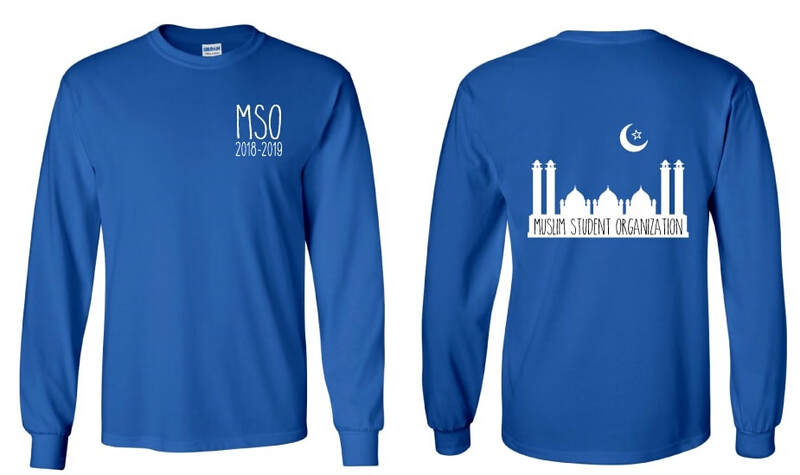 MSO is selling their amazing long sleeve shirts to whoever is interested. They are selling for $15 each. The proceeds will go towards funding MSO activities! If you would like to purchase a shirt, please email muslimstudents.mizzou@gmail.com. Join community members to hear how we can hold the city accountable to issues that affect us all on Tuesday April 16th 6:30-8:30pm at Rock Bridge Christian Church, 301 Green Meadows Rd. 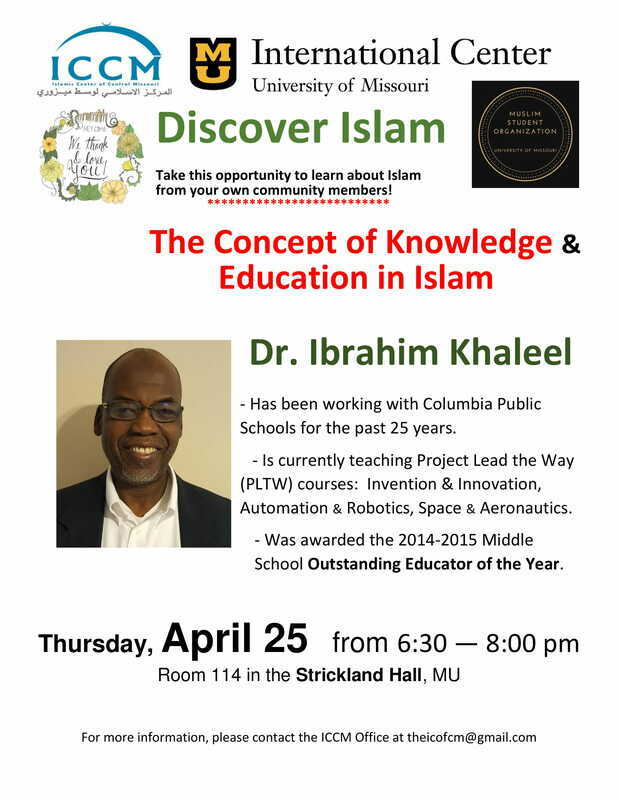 The last lecture of Discover Islam - Spring 2019, titled "The Concept of Knowledge and Education in Islam," will be given by Dr. Ibrahim Khaleel on Thursday April 25 between 6:30 pm and 8:00 pm at Strickland Hall, room 114. With security issues lately, we will be installing a new door locking system soon for the ICCM. 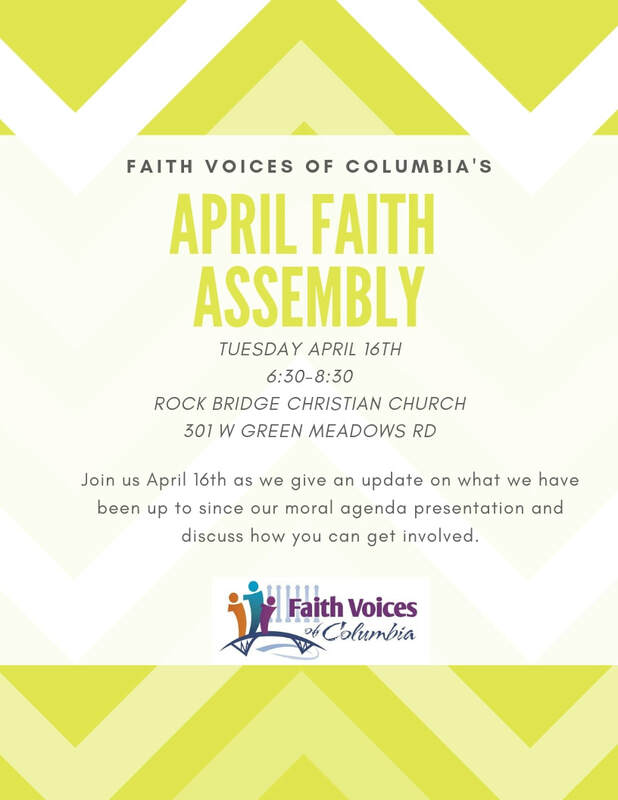 As soon as we get the final details we will share. We are using a company that has installed this new door locking system in several mosques in KC and it is also the company that installed our camera system. Bathrooms repair and deep clean for both women and men will start next week and it will take about 10 days. Spring cleaning for outside and inside will start in two weeks to be ready for Ramadan. We need volunteers for security during Ramadan and Eid. If you are interested please contact Br. Mubarak.